Located on the rooftop of Burn Fitness on the Third Street Promenade, this is spinning with a view. And some of the best views are of the comely clientele who frequent this class, led by the charismatic Ostrom. His dance-club worthy playlist promises to bring out your "inner diva," according to his bio. 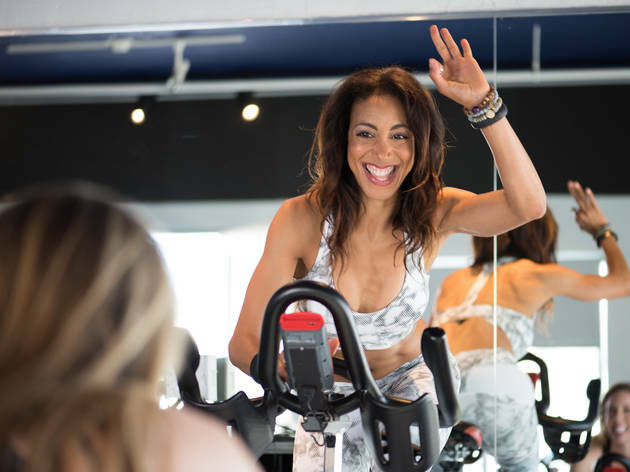 But jazz hands aside, this is one serious workout, complete with heart-pumping intervals, quad-burning hills and yes, fabulous choreography. Pricing: $20 for a single class, $99/month for unlimited classes. First class is free. Shoe rental is $2 and bottled water is available for purchase.